One of Britain's best loved family lifestyle brands. Based in Market Harborough, they are known for their trademark use of colourful use of stripes, florals and pattern. 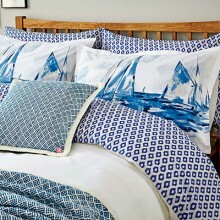 Bring a splash of the seaside into your home with this gorgeous bedding collection from Joules. 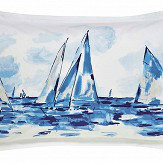 A celebration of all things nautical to bring a breath of sea air to any bedroom. This beautiful collection includes a variety of duvet covers, pillowcases, woven throw and cushion.